THE SMALL FULL LOTUS IS A DESIGN TWIST ON THE LARGER FULL LOTUS. IT IS THE EXACT SAME RING JUST SMALLER. THE MOUTNING IS DE-OX SILVER THAT DOESN'T TARNISH LIKE STERLING SILVER. 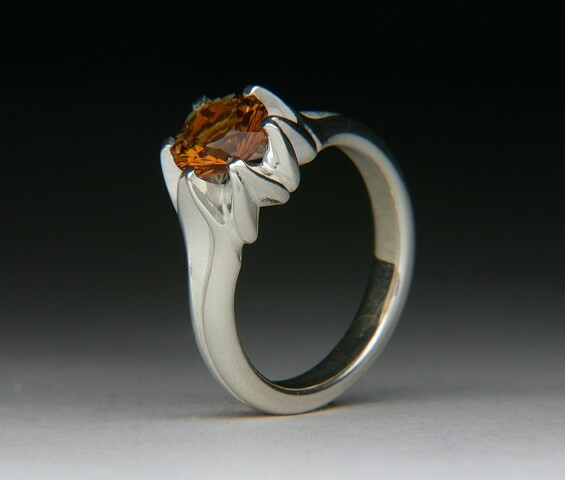 SET WITH AN AMAZING MADERA ORANGE CITRINE. Ring size: 6 3/4, contact me if you need the ring sized. To purchase this ring click on the price and it will take you to Paypal for checkout. Price included shipping in the USA, International buyers please convo me regarding shipping out of the USA.